For those of you not necessarily interested in the epigenome…or those of you that prefer your science and genetics with a little wine..
My niece Em gave me these easily transportable wine glasses. 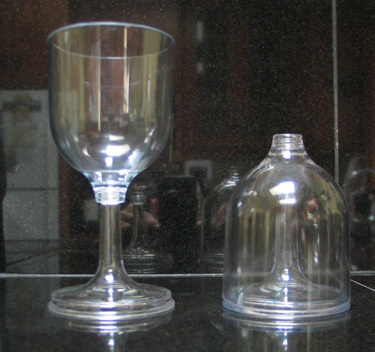 Look how the base screws off and fits inside the glass. Some connoisseurs might protest the plastic, but hey! They’re far classier than the paper cups we use at the dog shows! Em surely has a set in her camping gear.